Tent Palaces: the next Glamping Trend! 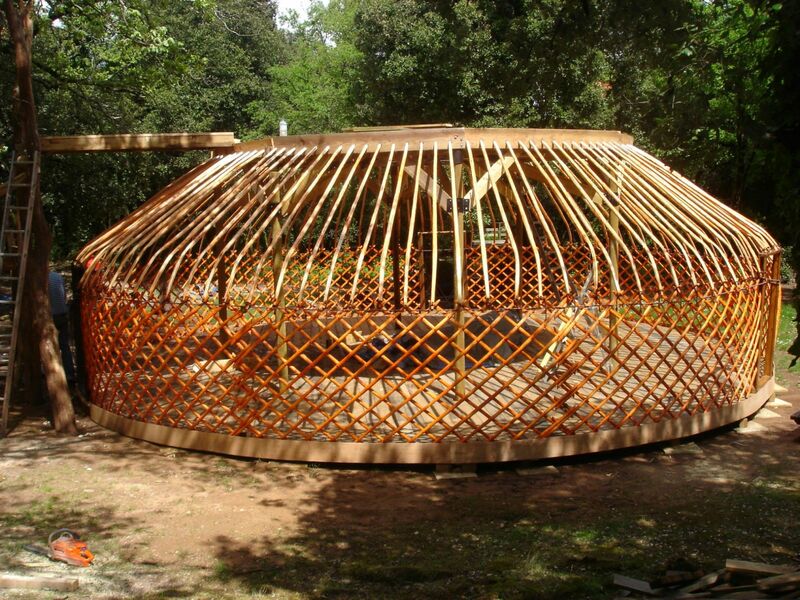 The below article was kindly supplied to us by Spirits Intent – who are terrific yurt makers! 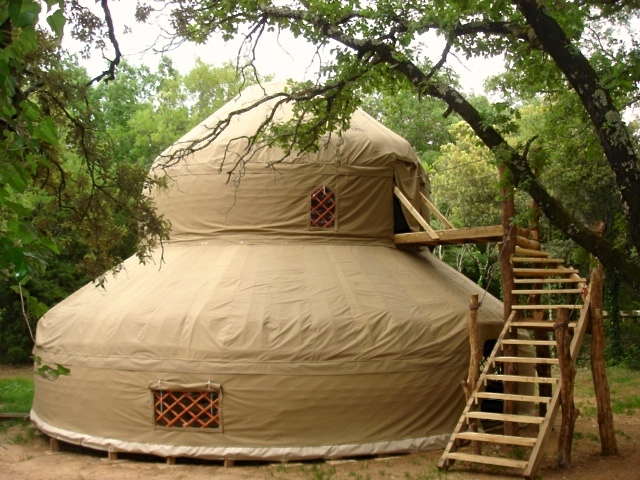 Ever seen a two storey yurt….? Here is the story of the first one made in Canvas Chic in the Ardeche, France. The idea behind the two storey yurt was to be a ‘tribal heart’ like the original tent palaces of the Mughal Emperors in the 16th century, who created entire moving cities of smaller yurts and other tents, with an elaborate tent palace at the centre. 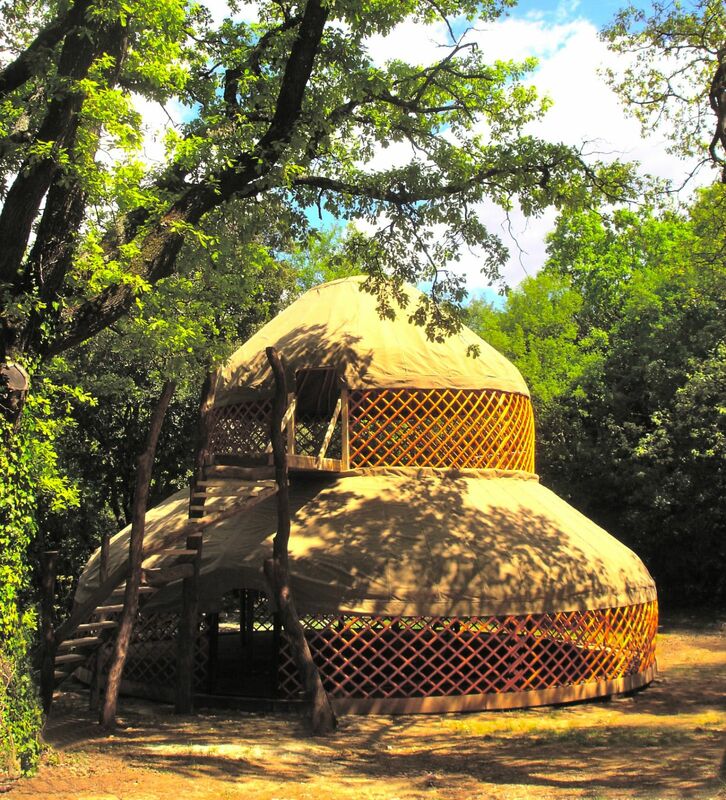 Canvas Chic (since sold by the then owners) was one of the original glamping sites in Europe, (possibly even coining the word ‘glamping’), set in the beautiful Ardeche gorges where wild boar roam freely, pre-historic caves dot the cliffside and there is an abundance of nature all around. 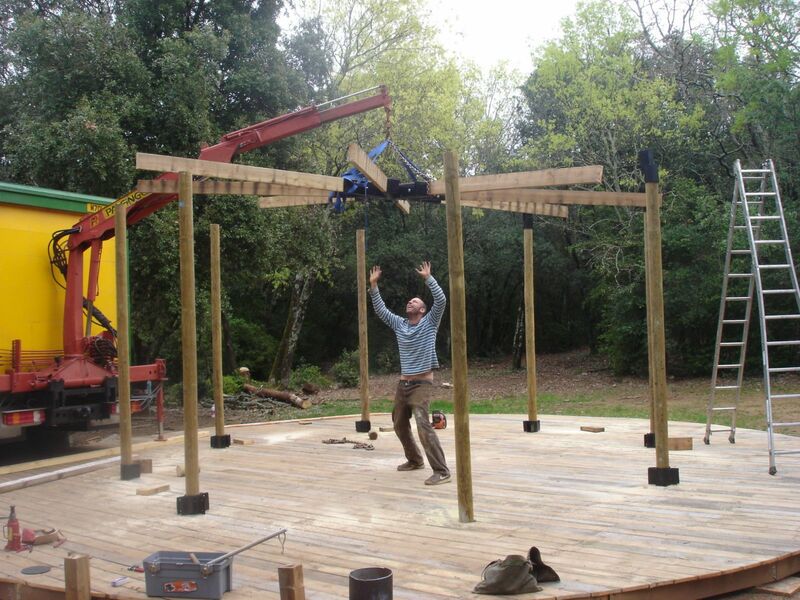 In winter 2008 we were called to Canvas Chic with our nomadic workshop, (built in two 4×4 trucks) and started work on the two storey yurt, which was to be a central meeting place for the site, and also a place for events. When we were wondering how to make the frame, we heard about a French yurt maker who had bought a few Kyrgyz yurt frames with the idea to make a yurt-related structure, but had decided to take his family on the road in a horse-drawn wagon, so was selling the components. We worked out that by cutting some of the roof rafters down, magically it was exactly what we needed for the two-storey yurt frame, and one other yurt (but that’s another story). The Kyrgyz make their frames from willow by hand, shaping the components with a toothed draw knife, which are then coloured with an orange-red dye. We thought it was going to be quite a job to put the top yurt up but it ended up being relatively simple, by doing it inside-out instead of outside-in. (Those who have ever erected a yurt will know what I mean). The bottom yurt cover had to have an opening to thread it under the stairs, which was laced together. The two-storey yurt was finished in time for the Yurt Makers Conference Gathering, where yurt makers and experts came from all over the world to play, share and vision. The tent palace has all the grandeur and elegance of a glamping site, and our aim is to encourage more sites to incorporate a tent palace at the centre to encourage a tribal experience. 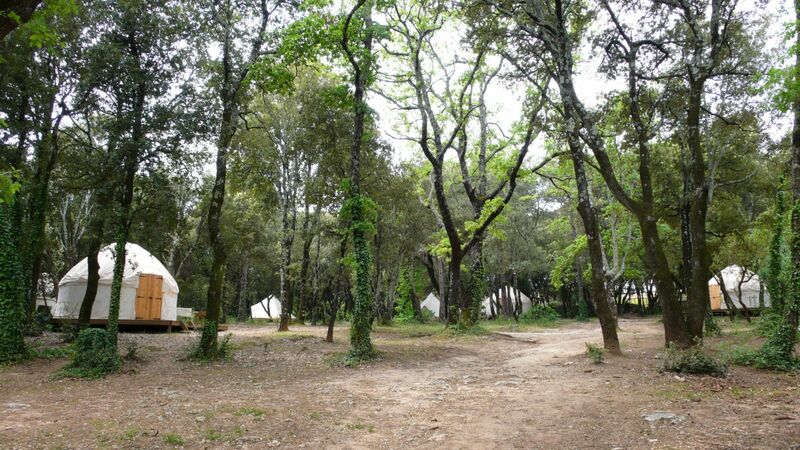 This is the true magic underlying the campsite experience, where a group of people come out of their separate lives, live in nomadic shelters and get a feel of a collective possibility.